Many years ago I was hosting a Broadway event to engage and inspire younger voters to get involved in politics. One person after another told me that I needed to meet their friend, Al Styron. They were emphatic that she was someone who knew all the players I would need to make this event a success. They were right. Having been raised in a politically active household as the daughter of author William Styron (Sophie's Choice) and poet/activist Rose Styron (Amnesty International), Al did, in fact, know everyone. What I hadn't been warned about was that she was one of the smartest, funniest and kindest people I would ever know. I was soon to meet a lifelong friend and confidante. So here she is. My best friend, best selling author and activist, Alexandra Styron, in conversation about her new book Steal This Country. Al offers us insights into what we can all do to feel like active, impactful and engaged citizens. 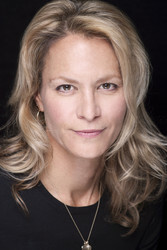 ALEXANDRA STYRON is the author of Reading My Father and a novel, All The Finest Girls. A graduate of Barnard College and the MFA program at Columbia University, her work has appeared in The New Yorker, The New York Times, Vanity Fair, The Financial Times, and The Wall Street Journal. She currently teaches memoir writing in the MFA program at Hunter College. She lives with her husband and two children in Brooklyn, New York. LITTLE KNOWN FACT - Alexandra Styron made me a tuna sandwich on our first “friend” date. It was delicious.